Required for first-year Graduate Center Fellows; non-registered, non-credit workshop. Open only to Level 1 Cultural Anthropology Students. This section open to GC Anthropology students only, with instructor’s permission. Cross listed with MES 72900 and MUS 83100. Fulfills cultural area course requirement. Fulfills cultural area course requirement. GC: T, 11:45 a.m. – 1:45 p.m., Rm. 8203, 3 cr, Prof. Petersen  Cross listed with MALS 71500. GC: F, 2:00 – 4:00 p.m., Rm. 6494, 3 cr, Prof. Low  This section open to GC Anthropology students only; cross-listed with PSYC 80103 and EES 79903. Fulfills linguistic subfield requirement for students in cultural anthropology. Fulfills linguistic subfield requirement for students in cultural anthropology. 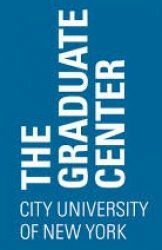 This section open only to CUNY GC Anthropology students and by Instructor’s permission; cross listed with SPAN 80100 and LING 79500. Open only to NYCEP students (permission of instructor required for all others). NYCEP core course; open only to NYCEP students (permission of instructor required for all others). Open only to NYCEP students (permission of instructor required for all others). MEETS FEB 13 – MAR 13. Open only to NYCEP students (permission of instructor required for all others). MEETS FROM MAY 1 – 15. GC: R, 2:00 – 4:00 p.m., Rm.5383 , 1 cr., Prof. Low  MEETS ON 2/19, 2/26, 3/5, 3/12. This section open only to GC Anthropology students; cross listed with EES 79901 & PSYC 80101. GC: R, 2:00 – 4:00 p.m., Rm. 5383, 1 cr., Prof. Low  MEETS ON 3/19, 3/26, 4/2, 4/16. GC: R, 2:00 – 4:00 p.m., Rm. 5383, 1 cr., Prof. Low  MEETS ON 4/30, 5/2, 5/14, 5/21. GC: F, 2:00 – 4:00 p.m., Rm. 6493, 0 cr., Prof. Skurski  Open only to Level 3 Anthropology students. GC: M, 11:45 a.m. – 1:45 p.m., Rm. 6114, 3 cr , Prof. Asad  Permission of Instructor Required. GC: T, 9:30 – 11:30 a.m., Rm. 8203, 3 credits, Prof. Edelman,  Open to GC Anthropology students only. GC: F, 11:45 a.m. – 1:45 p.m., Rm. TBA, 3 cr , Prof. Mullings  Meets ALTERNATE Fridays. Instructor’s permission required; open to students who participated in the fall 2014 seminars. BC: W. 2:00 – 5:00 p.m., Rm. TBA , 3 cr., Prof. Bankoff  Open to GC Archaeology students only. HC: W. 5:30 – 7:30 p.m., Rm. 710N, 3 cr., Prof. McGovern  Open to GC Archaeology students only. HC: M. 5:30 – 7:30 p.m., Rm. 705N, 3 cr., Prof. Johnson  Open to GC Archaeology students only.